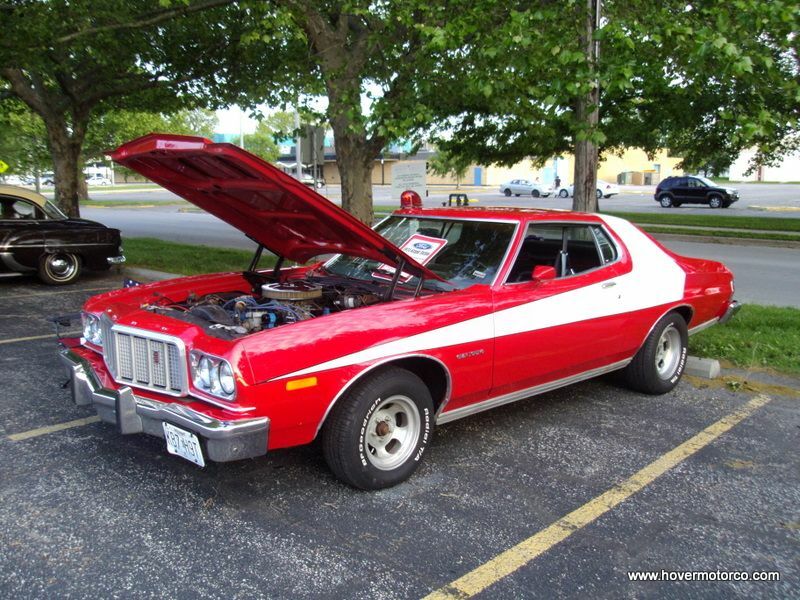 Did you know that Friday is National Collector Car Appreciation Day? There couldn’t be a better weekend to get out and do some car stuff, and there is a lot of it to do in-and-around Kansas City. Notable car shows include the Vineyard Grand Classic in KCMO, the COR Show in Leawood, and the Heartland Car Show in Paola. Or check out one of the many cruises that are taking place all over town. Oh, and there are all kinds of car races going on too. See the full schedule of Kansas City car shows, car races, and car cruises for July 10, 11, 12, 13, 14 in the calendar below. And always remember to call ahead for any scheduling changes and bad weather. Wednesday, July 10. Kansas City, Mo. Dale Wilch's Man Cave Indoor Swap Meet. 1501 West 31st Street, 64108. 6:00 p.m.-9:00 p.m. For more information, call Dale at (913) 788-3219, e-mail dale@rpmcat.com, or visit http://www.dalewilch.com/. Wednesday, July 10. Independence, Mo. Big Boy Cruise Night. 12401 E 40 Highway (40 Highway and Crysler Avenue), 64055. For more information, call Mike at (816) 519-6424. Wednesday, July 10. Overland Park, Kan. Sonic Cruise Night. 9801 Quivira Road, 66215. 5:00 p.m.-9:00 p.m. For more information, call Jason at (913) 307-0062. Friday, July 12. Basehor, Kan. Basehor Boys Cruise Night. Sonic Drive-In. 155th and State Ave (US24/40), 6 miles west of Kansas Speedway. For more information, call Don at (913) 579-1669, or e-mail gonnacrash@sunflower.com. Friday, July 12. Kansas City area and nationwide. 4th-Annual Collector Car Appreciation Day. For more information, call Della at (909) 909-978-6723, e-mail dellad@sema.org, or visit http://www.sema.org/categories/keywords/collector-car-appreciation-day. Friday, July 12. Overland Park, Kan. Mid-America Chevelle Club Collector Car Day Cruise. Sonic Drive-In. 9801 Quivira Road, 66215. 6:00 p.m. For more information, visit http://www.midamericachevelles.com/events/index.html. Friday, July 12. Blue Springs, Mo. Blue Springs Cruise Night. Downtown Blue Springs, Main Street, between 10th and 12th Streets. 6:00 p.m. For more information, call Blue Springs Parks and Recreation at (816) 228-0238. Friday, July 12. Overland Park, Kan. Longbranch TGIF Cruise. Longbranch Alehouse, 9095 Metcalf, 66212. 5:00 p.m.-9:00 p.m. For more information, call (913) 912-7344. Friday, July 12. Overland Park, Kan. Fast Fridays at KC Trends Motorsports. 13300 Grandview Street, 66213. 7:00 p.m.-10:00 p.m. For more information, call (913) 962-5200. Friday, July 12-Saturday, July 13. Branson, Mo. Show-Me F-100 Ozark Run. Fall Creek Inn, 995 State Hwy 165 (one mile south of the Titantic), 65616. 11:00 a.m.-5:00 p.m. (Friday), 9:00 a.m.-5:00 p.m. (Saturday). For more information, call Bj at (471) 863-9501. Saturday, July 13. Kansas City, Mo. 9th-Annual Vineyard Grand Classic Car Show. Vineyard Church. 12300 North Arrowhead Trafficway (5 miles north of Metro North Mall), 64165. Registration 8:00 a.m.-10:00 a.m. Awards 12:30 p.m. For more information, visit http://vineyardkcnorth.com/htm/carclub.htm, call Don at (816) 813-7666, or e-mail littleperson@mac.com. Saturday, July 13. Leawood, Kan. 12th-Annual COR Car Show. Church of the Resurrection, 13720 Roe Avenue, 66224. 9:00 a.m. For more information, e-mail Brian at bdaleof@kc.rr.com, or visit http://www.cor.org/. Saturday, July 13. Merriam, Kan. Lucky 13 Turkey Creek Cruise. 5740 Merriam Drive. 6:30 p.m.-8:30 p.m. For more information, call Sara at (913) 322-5550, or visit http://www.merriam.org/index.aspx?NID=550. Saturday, July 13. Independence, Mo. Summer Cruise-In at the Hartman Heritage Center. Jackson Drive next to Buffalo Wild Wings. 6:00 p.m. For more information, call Jim at (816) 808-1154. Saturday, July 13. Shawnee, Kan. Mustang Club of Greater KC Cruise. Bates City BBQ, 6943 Quivira, 66216. 6:00 p.m.-9:00 p.m. For more information, visit http://mustangclubofgreaterkc.com/activities/cruise-nights or www.facebook.com/MustangClubOfGreaterKC. Saturday, July 13. St. Joseph, Mo. Northwest Missouri Street Rods Cruisin’ the Village. East Ridge Village, 3900 Frederick (I-29, exit 47). 5:00 p.m. For more information, call Kat at (816) 233-0312. Saturday, July 13. Topeka, Kan. HPAC Cruise Night. Fairlawn Plaza Shopping Center, 21st and Fairlawn Rd, 66614. 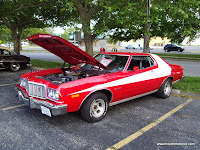 6:00 p.m.-9:00 p.m. For more information, call (785) 231-0719, visit www.hpacmopar.com, or e-mail wings6970@aol.com. Saturday, July 13. Winston, Mo. 2nd-Annual Jesse James Days Car Show. Winston City Park, 64689. 9:30 a.m.-2:00 p.m. For more information, call Ronda at (660) 749-5632. Saturday, July 13. Kansas City, Kan. Tractor Daze Touch-a-Truck Swap Meet and Mud Run. National Agricultural Hall of Fame, 630 Hall of Fame Drive. 9:00 a.m.-4:00 p.m. (tractor show and swap meet). 4:00 p.m. (mud run). For more information, call (913) 721-1075, e-mail info@aghalloffame.com, or visit www.aghalloffame.com/. Sunday, July 14. Kansas City, Mo. Art of the Machine Show featuring the All-Japanese Motorcycle Club. City Market of Kansas City, 20 Genessee St., 64102. For more information, call Deb at (816) 842-1271, or visit http://thecitymarket.org/events/art-of-the-machine-car-series. Wednesday, July 10. Topeka, Kan. HPT Touring Club. Heartland Park Topeka Road Course, 7530 SW Topeka Blvd, 66619. 1:00 p.m. For more information, call (785) 862-2016, or visit http://www.hpt.com/. Friday, July 12. Kansas City, Kan. Weekly Racing Series. Lakeside Speedway. 5615 Wolcott Drive, 66109. 7:30 p.m. For more information, call (913) 299-9206, or visit http://www.lakesidespeedway.net/. Friday, July 12. Topeka, Kan. Street Legal Test and Tune. Heartland Park Topeka Drag Strip, 7530 SW Topeka Blvd, 66619. 6:30 p.m.-10:30 p.m. For more information, call (785) 862-2016, or visit http://www.hpt.com/. Friday, July 12. Atchison, Kan. Friday Night Racing Series. Atchison County Raceway. Sedgwick Road, north of Atchison. 8:00 p.m. For more information, call (913) 370.2520, e-mail phil@acraceway.com, or visit http://www.acraceway.com/. Friday, July 12-Saturday, July 13. Grain Valley, Mo. Monsters in the Valley. Valley Speedway, 348 E Old 40 Hwy, 64029. For more information, call (816) 229-2222, or visit http://valleyspeedway.com/. Saturday, July 13. Topeka, Kan. ET Bracket Racing. Heartland Park Topeka Drag Strip, 7530 SW Topeka Blvd, 66619. 9:00 a.m. For more information, call (785) 862-2016, or visit http://www.hpt.com/. Saturday, July 13. Winston, Mo. Weekly Racing plus Lightning Sprints. I-35 Speedway. Interstate 35 and Highway 6, 64689. For more information, call (660) 749-5317, or visit http://www.i-35speedway.net/. Saturday, July 13. Topeka, Kan. Super 8 at Forbes Landing. Heartland Park Topeka Dirt Track, 7530 SW Topeka Blvd, 66619. 7:00 p.m. For more information, call (785) 862-2016, or visit http://www.hpt.com/. Saturday, July 13. Mayetta, Kan. Ladies Night. Thunder Hill Speedway. 11995 142nd Road, 66509. 6:30 p.m. For more information, call (785) 966-2844, or visit http://www.racethunderhillspeedway.com/. Saturday, July 13. Atchison, Kan. Saturday Night Racing Series. Atchison County Raceway. Sedgwick Road, north of Atchison. 8:00 p.m. For more information, call (913) 370.2520, e-mail phil@acraceway.com, or visit http://www.acraceway.com/. Saturday, July 13. Wheatland, Mo. 7th-Annual CMH Diamond Nationals. Lucas Oil Speedway, 700 E Hwy 54, 65779. For more information, call (417) 282-5984, or visit http://www.lucasoilspeedway.com/. Tuesday, July 16. Kansas City, Kan. USMTS Late Models. Lakeside Speedway. 5615 Wolcott Drive, 66109. 7:30 p.m. For more information, call (913) 299-9206, or visit http://www.lakesidespeedway.net/. I checked with the folks in Paola and their show was in June. Has the North KC show died out?